It’s Time To Get Festive With Elfish Antics! Hi everyone! 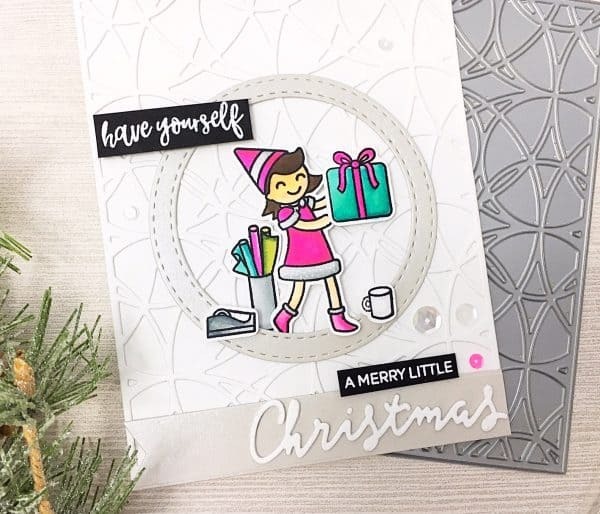 It’s Jessica here and today I’ve got a holiday card to share featuring Elfish Antics and Elfing Christmas Words. My craft room is getting festive and I was inspired to create my very first Heffy Doodle Christmas card of the season. I started by creating the background using a stained glass die plate with white card stock. To frame the scene, I added a stitched silver circle to the center as well as a sentiment strip banner to the bottom of the card front. Next, I stamped all the main images with Memento Tuxedo Black ink and colored in using Spectrum Noir Alcohol markers. For the sentiment, I heat set two strips with white embossing powder on black card stock. 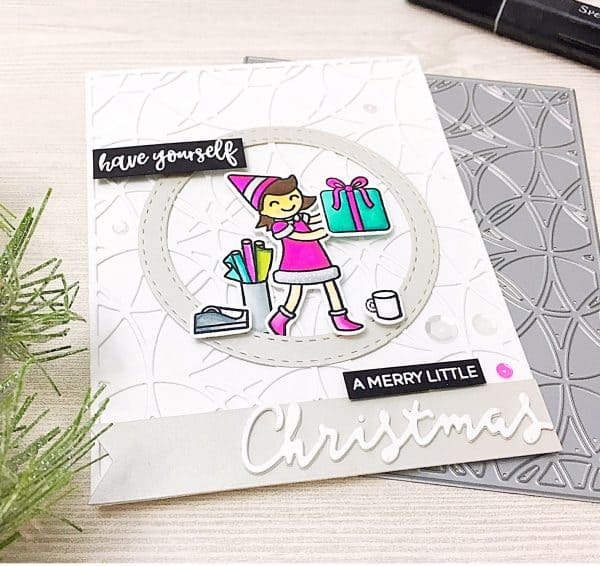 To finish off the card I added coordinating sequins, 3D foam tape for dimension and a Christmas word die from my stash.